ONLINE RAFFLE: Enter for a chance to win a YETI Tundra 75 Cooler and help send these kids to camp! The drawing is Sunday, June 10. You can purchase 1 ticket for $25 or 5 tickets for $100. In Miami, nearly two-dozen children arrived as refugees last year from Syria. Their English language skills are limited, and they have had no involvement with formal education. We’d like to help bridge this gap with tennis. Indeed, in our experience, there is no better way to imbue children with a sense of purpose, skill, discipline, and passion than with their commitment to sports. 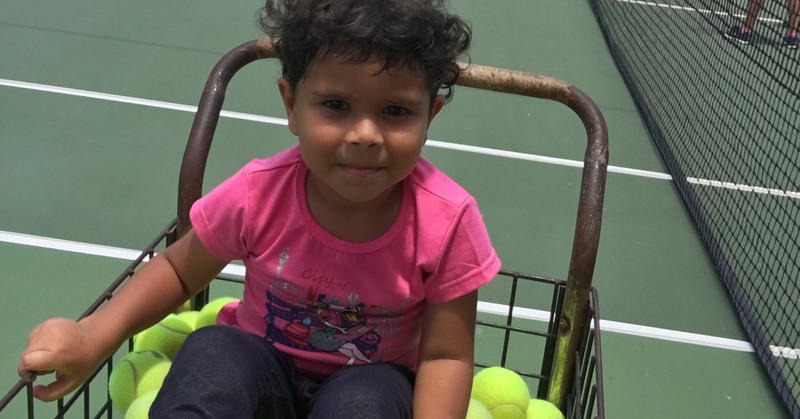 Tennis communication is “all English,” and the coaches who teach and work with Syrian refugee children are language facilitators, as well as caring and supportive mentors. Our objective is to teach Syrian refugee children how to play tennis through a summer camp experience by integrating them with other campers, which will aid them in adapting to American customs and attitudes. 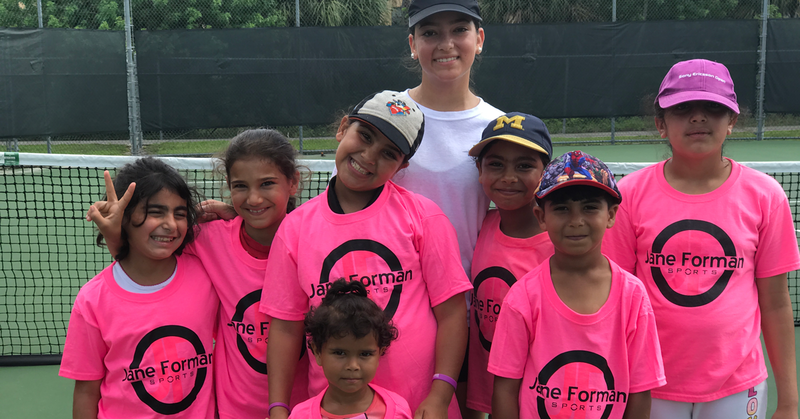 Our excellent coaches — who will work with these kids over the 10-week summer break — are chosen based on their abilities to connect with younger players, as well as the leadership these coaches have demonstrated in the tennis programs we’ve provided to schools and communities in Miami. Younger players view these coaches as role models, which allows our program to forge a bond that inspires these refugee children to thrive and excel in their new home. If you would be willing to assist in this most worthwhile endeavor, please consider making a donation to Dade County Sports Foundation, Inc. (DCSF) — a public charity. DCSF has a 25 year history of enabling deserving children to participate in sports programs and camps throughout the year. Your contribution would make a significant impact on several children’s lives. Whether you donate $5 or $500 — every little bit helps. Thank you, in advance, for your generous support.